The Fountain of Polaris (ポラリスの泉 Porarisu no Izumi?) is the 6th episode of the Little Witch Academia anime series. On Netflix, the episode is titled just "The Fountain". Unable to master even basic transformation magic, Akko is relegated to her room and must miss the welcome party for a VIP and his handsome son. The episode begins with Samantha Badcock's class where her students practice the basic spell of Metamorphosis Magic, Animal Transformation Spell. Whereas most students managed to perform the spell with average success, Diana stands out from others due to rat she enchanted turned into a beautiful horse whereas Akko only able to give herself animal traits. Unimpressed to see Akko ended up humiliated herself with her donkey ears and tail, Badcock forbids Akko to join the oncoming welcoming party for Earl of Hanbridge's visit until she successfully perform the spell. Luna Nova hosts a welcoming party for the Earl of Hanbridge and his son, Andrew, who appears to be an old acquaintance of Diana's. Meanwhile, as Akko is stuck having to practise her metamorphosis magic after giving herself animal ears, she decides to go and search for the Fountain of Polaris, which she believes can grant her great power. During her search, she comes across Andrew, who expresses a strong disinterest in magic, and inadvertently gives him animal ears and a tail. Arriving at the location of the fountain, Akko and Andrew soon find themselves on the run from its guardian, a giant polar bear named Arcas. After another witch stops Arcas, Akko finds the fountain, which shows her past visions of how Shiny Chariot grew from a clumsy student into a magician worthy of wielding its power. Helping Akko to realise that acknowledgement is something that must be earned, Ursula encourages Akko to become stronger and restores Andrew, who promises to keep their encounter a secret. As Ursula explains to Akko how she can't expect to become a great witch stars without hard work, Chariot's leitmotif plays. Ursula's hair transformation is vastly different from the first short film, being more smooth and instant instead of turning flame-like. In Netflix worldwide release, the episode title was changed to The Fountain. 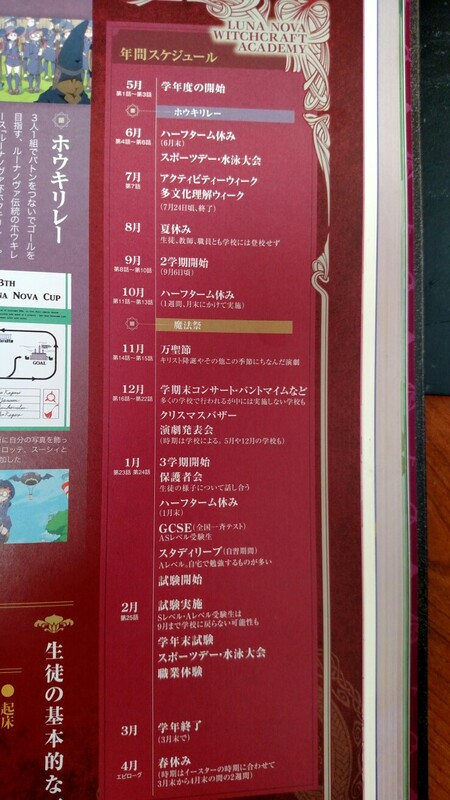 This episode takes place in June, along with "Night Fall" and "Luna Nova and the White Dragon", as stated in the chronicles book. The Fountain of Polaris (episode) has an associated gallery here.